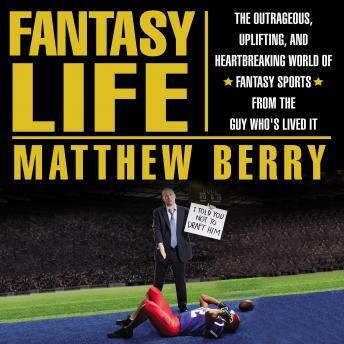 Written with the same award-winning style that has made Berry one of the most popular columnists on ESPN.com, Fantasy Life is an audiobook for both hard-core fantasy players and people who have never played before. Between tales of love and hate, birth and death, tattoos and furry animal costumes, the White House Situation Room and a 126-pound golden pelican, Matthew chronicles his journey from a fourteen-year-old fantasy player to the face of fantasy sports for the largest sports media company in the world. Fantasy will save your life. Fantasy will set you free. And fantasy life is most definitely better than real life. You'll see.